Alex earned his pharmacy degree from The University of Iowa in 2012. He enjoys running, biking, and playing guitar and piano. While he does not currently have any pets, he is hoping that he and his wife will be able to get one soon. Austin is one of the pharmacy technicians that makes compounded medications like suspensions and transdermal gels for VetRxDirect. He is also a firefighter. When he has free time, he plays video games hangs out with his wife and his forever-puppy Oliver, a miniature Dachshund. Bailey is one of the pharmacy technicians that processes prescriptions, fills prescriptions, and works with customers. Her favorite color is yellow, and she is obsessed with the British royal family. She currently has two dogs, Rosie and Oakley. Chris graduated from The University of Iowa College of Pharmacy in 2018. He likes to travel and restore and refinish thrift store furniture in his spare time. He and his boyfriend Corey don’t have any pets right now but plan on adopting both a dog and a cat as soon as they are able to buy a house. Craig packages, boxes, labels, and ships orders for VetRxDirect, among other tasks. His favorite food is pizza. He spends his free time bowling and reading mystery novels. Farrell is one of the pharmacy technicians that processes prescriptions, fills prescriptions, and works with customers. Gabby is one of the pharmacy technicians that processes prescriptions, fills prescriptions, and works with customers. She came to VetRxDirect from an E.R./ Critical Care department at a veterinary specialty center. She plays volleyball and tennis, and kayaks. She loves watching the Bears and the Cubbies play. Her quality time outside of work is spent with her three awesome older brothers, her parents (when they aren’t traveling), and her Shorkie, Bella. Garry packages, boxes, labels, and ships orders for VetRxDirect, among other tasks. When he is not working, he is riding his bike. He loves coffee! Hannah is the skilled pharmacy technician in charge of making the majority of the compounded medications for VetRxDirect, from capsules to suspensions to gels. When she is not busy making prescriptions, she likes to go shopping, watch movies and football, and go to country music concerts. She loves the color pink and sunflowers. She and her husband Brandon currently have three fur babies: their Basset Hound Moose, and their two cats Toulouse and O’Malley. Holly currently writes the VetRxDirect blog posts and newsletters. She helps provide information to our customers and their companions through also writing our website product descriptions and articles. She has a background as a pharmacy technician, licensed veterinary technician, and animal control officer. Outside of work, Holly enjoys riding horses, photography, and scuba diving. 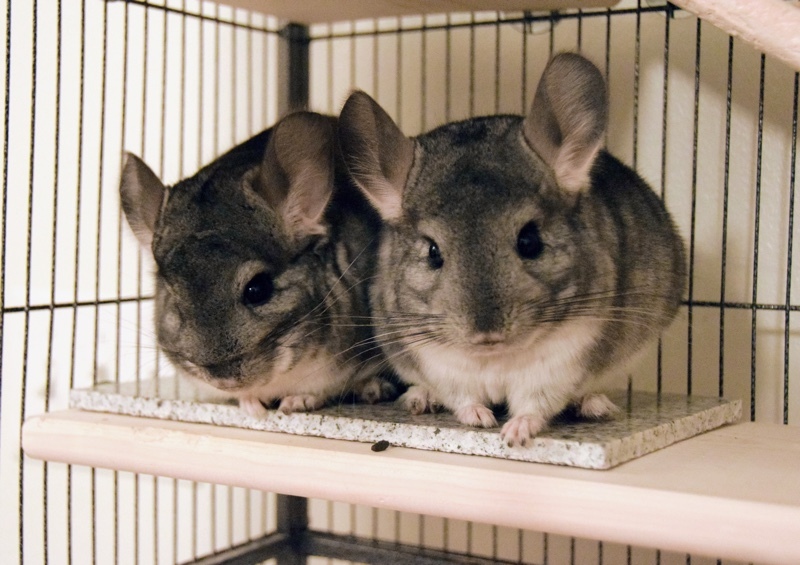 She and her husband Ben have two chinchillas, two parakeets, and a 50-gallon freshwater aquarium. Jane is one of the pharmacy technicians that processes prescriptions, fills prescriptions, and works with customers. She is obsessed with the sport of rowing and always wants to be on the water. Due to a misspent youth, she has a doctorate in Linguistics. She is fluent in Spanish, y de vez en cuando tiene la oportunidad de ayudar a los clientes hispanohablantes en español. She currently lives with her three rescue guinea pigs, the sisters Dorothy, Rose, and Blanche. Jim is our main shipper, ordering supplies, packaging, boxing, labeling, and sending orders out for VetRxDirect, among other tasks. Jim spends a lot of free time reading, and he is very interested in the history of aviation. He is married, but his kids are grown, so he and his wife are empty-nesters. They dote on their grand-dogs, though, because Basset Hounds rule! John H. helps order, organize, and sort all the drugs and over-the-counter products sold by VetRxDirect. His hobbies are running, weightlifting, and motocross! He and his wife have two cats, Joe and Nomar, and one bird, Frankie. John T. is a jack of all trades around the pharmacy shipping area. He loves garden gnomes and gardening with his garden gnomes. Kate is one of the pharmacy technicians that processes prescriptions, fills prescriptions, and works with customers. She enjoys long strolls around Target, spending quality time watching Netflix, and sampling the world’s finest tacos. She and her husband Tim were high school sweethearts, and are excited about their baby boy Sawyer. One day Kate hopes to have a house in the country and lots of farm animals, but for now she has a black Lab named Molly and three lazy cats, Phoenix, Marley, and Poncho. Kristen is one of the pharmacy technicians that processes prescriptions, fills prescriptions, and works with customers. She is a multi-sport athlete, playing volleyball, basketball, and softball. She has two sisters and a brother. Her parents still live in the small town in Iowa where she grew up. Kristen does not currently have any pets of her own, but she is working on claiming her roommate’s dog Carver as her own. Kylie is one of the pharmacy technicians that processes prescriptions, fills prescriptions, and works with customers. She likes to spend her free time playing sand volleyball, participating in slow pitch softball, shopping, sleeping, and hanging out with her niece, Cadence, and her nephew, C.J. Her favorite hobby, though, is hanging out and being lazy with her Saint Bernard baby, Maizie Mae. Kylie has raised cattle, sheep, swine, and goats, and she and Maizie hope to have a large farmhouse with a wrap-around porch and a lot of cattle in the future. Matt is one of the pharmacy technicians that processes prescriptions, fills prescriptions, and works with customers. He is currently in his first year working as a pharmacy technician and building towards his certification. He loves wearing plaid and listening to any band from Canada. However, his true musical delight is K-Pop. Pamela is a very energetic and knowledgeable pharmacist. She speaks both Mandarin Chinese and Cantonese, thanks to her parents and studying on her own. Her husband, Jason, is from the Bahamas. Because of their backgrounds, their oldest son Bradley has gotten to take his amazing dance moves international. You may have seen him strutting his stuff in Iowa, China, Jamaica, or the Bahamas. After work, Pamela spends her time scrapbooking, baking, swimming, playing tennis, and watching movies. Pamela had fish, gerbils, and hermit crabs growing up, but now has a Weimaraner named Chocolate Mousse who Bradley is obsessed with. Robbie loves listening to sad songs and dancing in the rain. He plays bass and is hoping to start his own band. Sam (Samantha) is one of the pharmacy technicians that processes prescriptions, fills prescriptions, and works with customers. When she isn’t working, she likes the simple life--relaxing, eating, and spending time with her family and her Cockapoo, Jax. Shawn has been the pharmacist-in-charge of VetRxDirect since our pharmacy’s beginning. He earned his degree in pharmacy from The University of Iowa College of Pharmacy, and his wife is also a pharmacist. Shawn is highly knowledgeable and has earned individual pharmacy licenses in 20 different U.S. states to help VetRxDirect serve more customers and meet the Board of Pharmacy requirements all over the country. When he isn’t studying or working, he lifts weights, jogs, and shoots baskets with his daughter and son. Tara is the head pharmacy technician at VetRxDirect. Outside of work, she likes to take long walks and hang out with her furry and feathered babies. Wes is the driving force and director of daily operations at VetRxDirect. 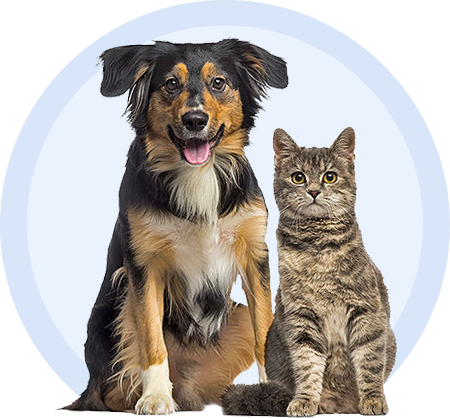 He has years of experience at a veterinary clinic, and is a certified pharmacy technician, with years of experience at VetRxDirect. When he is not working, he is usually outside. Wes enjoys biking on the gravel country roads of Iowa, backpacking in any mountains he can get to, taking cafe rides on his motorbike, and plotting in his vegetable garden with his partner Daniela. 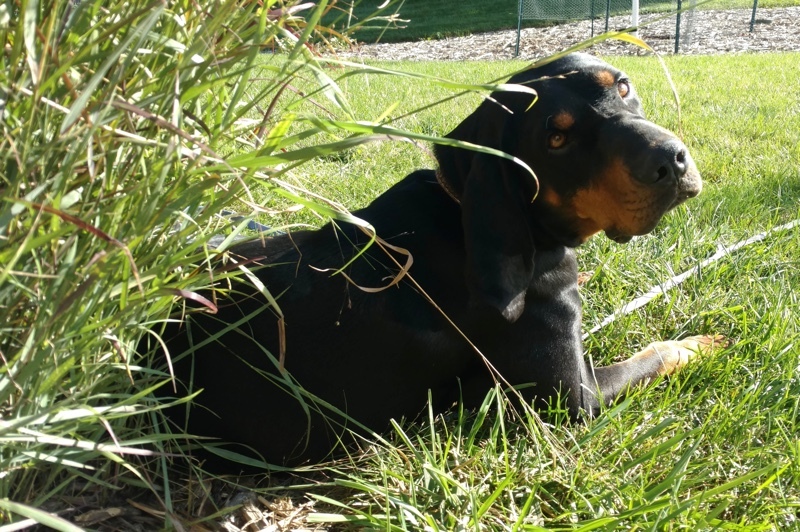 Wes and Daniela currently share their lives with Oduya, the rescue Coonhound, and their six backyard chickens, who sometimes lay eggs where they are supposed to and not in the compost pile.